Head to the Hills Austin new home construction with a view! Nuzzled between the beautiful rolling hills of Austin is a new master-planned community set to change how you feel about life in the suburbs. Travisso in Leander, TX exemplifies modern luxury within a striking natural wonderland. Hiking and biking trails, parks and the resort-style amenity center make every day feel like a vacation. Offering residents peaceful country-like tranquility just 5 miles from Austin's city limits, Travisso is a must-see community for anyone in the market for a Greater Austin new home.Explore TravissoAn Enviable Location New homes for sale in Leander, TX are just 30 minutes from downtown Austin via the new 183 Toll Road. A booming town on the outskirts of the city, Leander offers suburban charm with easy access to high-tech employment centers and a host of popular activities. Hit the links at Crystal Falls Golf Club, see a show at the Cedar Park Event Center or take the boat out on Lake Travis. Fine dining and excellent entertainment options abound. 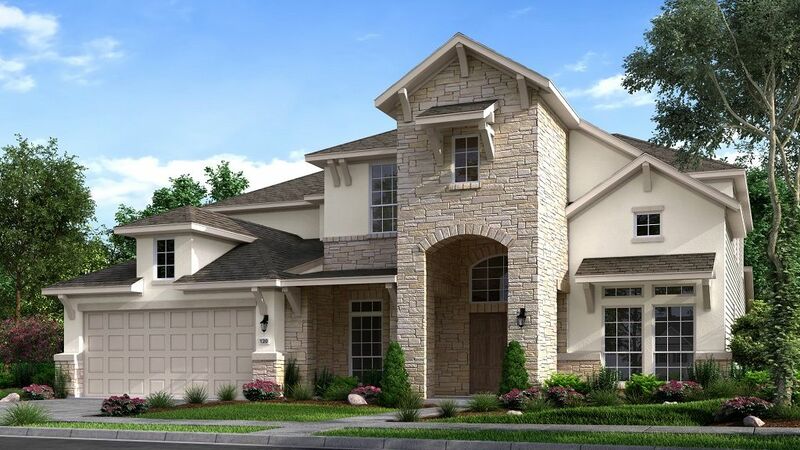 Shopping opportunities include Lakeline Mall, Round Rock Premium Outlets and 1890 Ranch Shopping Center.Award-Winning Floor Plans Every Siena Collection home begins with a generous owner's suite. Get lost in the expansive walk-in closet or relax after a long day in your extravagant luxury master bath. Pick a size to suit your needs. 3 to 6 bedroom plans feature spacious open-plan design including the popular gourmet kitchen/family room combo space. Engineered for the way you live, Taylor Morrison homes are built to exacting detail for daily comfort and entertaining. Outstanding options and upgrades are available for personalizing your new home.Highly Acclaimed Schools A huge incentive for home buyers shopping Williamson and Travis Counties real estate is access to great schools.